Zutron's Automatic Leak Tester incorporates new design and technology into one durable, compact unit. The convenient toggle switch releases air when turned off. There is no need to disconnect the tubing from the air pump unit. 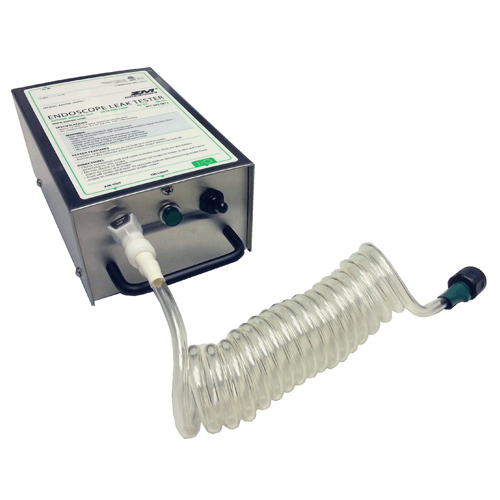 Zutron's Automatic Leak Tester is 12 volts, making it safe to operate around water. Comes with your choice of Fujinon, Olympus, Pentax, Storz, Wolf or ACMI leak test adapter. Wall mount units available upon request.